I'd recommend the Blue Sun expansion for Firefly - it makes the game even better. Though it does mean you need an even bigger table! 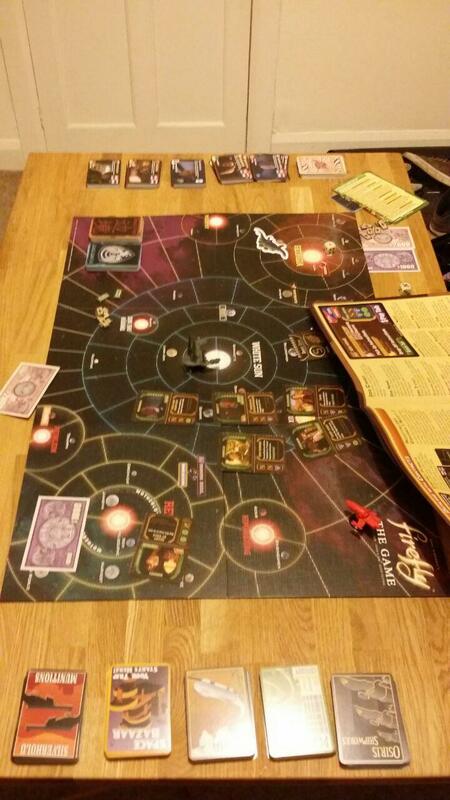 Maybe in a couple of months we will look at those expansions for firefly, we only got the game a week ago But yes, we will definitely need a bigger table! This is what ours looks like with just the basegame . Pretty damn full as you can see haha.